DASH traders rolled over a bit during the trading session on Friday, as $800 continues to offer significant resistance. The only volume that we had seen over the last couple of days was negative, so that suggests that the market is going to go lower. I believe that the market will continue to struggle, but we may get the occasional rally. I suspect that the $600 level below is the target, but it’s going to be choppy down to that range. 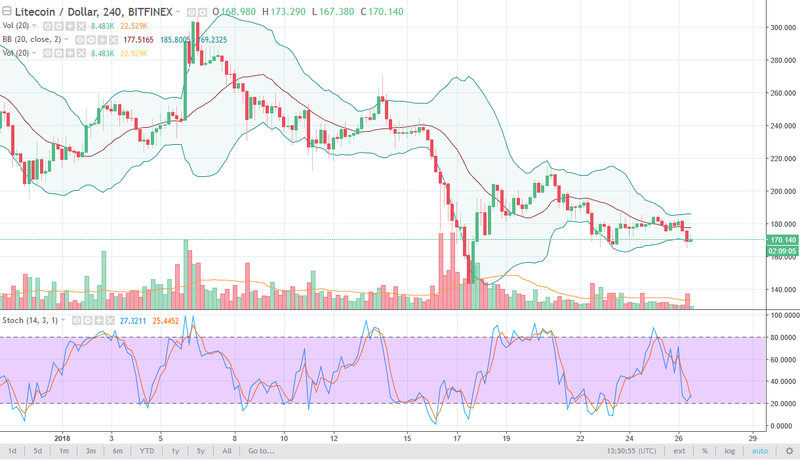 Litecoin markets fell a bit as well, as the $180 level has been too much resistance. 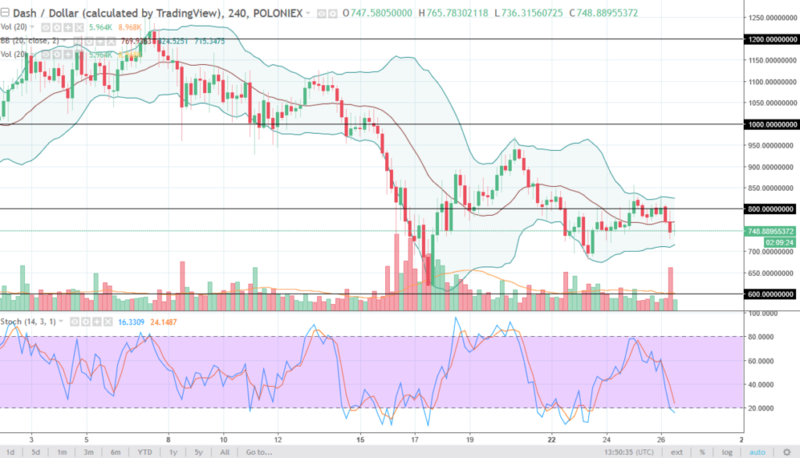 I believe that the market will eventually go looking towards the $150 handle, but if we were to break above $200, that would be a buying opportunity. The downtrend looks to be ensconced in the markets, and I don’t think that we have much in the way of momentum or desire to go higher at this point. Although volume is still light, the largest candle for volume of course was negative, which of course is the norm in crypto currency trading these days. I believe that we are going to continue to find reasons to drop.